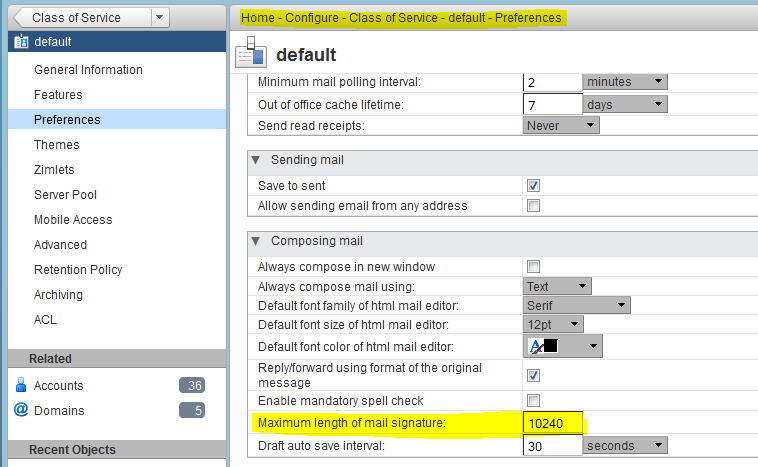 The default size of signature is controlled by account/cos attribute zimbraMailSignatureMaxLength. COS default is 10240. To fix the error above, increase the allowed size of zimbraMailSignatureMaxLength attribute from 10240.